Brooke is available for speaking engagements and customised training sessions throughout Australia (and abroad!). Choose from her signature presentations or tailor a session to your audience from a selection of current and relevant topics in social media connection. Brooke has delivered keynote presentations and private training sessions for a growing list of Australian brands as well as local government organisations. 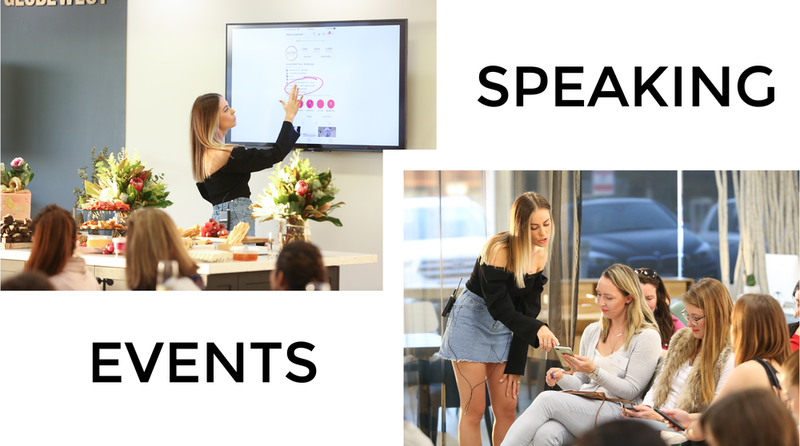 Working with brands like Mazda, Acton Real Estate and City of Perth, her training can show you how to grow your online presence and use it as an effective business medium.